VMTP Midlands Ltd pride ourselves on providing accurate automatic gearbox diagnostics. Our origins in Automatic Gearboxes go back over 40 years. Today’s modern cars, and especially those with automatic gearboxes, have electronic controls in the gearbox themselves. They communicate with other parts of the car via a ‘Controller Area Networker’ or as it is more commonly known a – CAN Bus. Automatic gearbox diagnostics can be difficult. It is important that all logged fault codes are able to be read from diagnostics performed on the vehicle. This will in some cases fail to give you the cause of the problem. However this is where VMTP Midlands Ltd specialist diagnostic equipment and years of experience are combined to give a clearer diagnosis of your automatic gearbox issues. Really simple faults, including a poor battery, can cause significant problems with an automatic gearbox. It is therefore essential that the correct diagnostic equipment is available for automatic cars to ensure that your car can be professionally and accurately diagnosed. The issues that can occur is that some aftermarket diagnostic equipment can’t read all the codes, which can lead to an incorrect diagnosis of the fault in the automatic gearbox. Additionally if all the codes have not been read they cannot all be cleared. On top of that, very few pieces of aftermarket diagnostic equipment can re-calibrate/re-programme the automatic gearbox – many now require re-programming by going online to the vehicle manufacturers systems. Why choose us to carry out your automatic gearbox diagnostics? VMTP Midlands Ltd continue to invest heavily in our automatic gearbox diagnostics equipment, so that we can keep pace with the rapidly changing vehicle technology and increasingly sophisticated automatic transmissions appearing in the market place. VMTP Midlands Ltd have purchased a number of the original manufacturer’s equipment and therefore their ability. 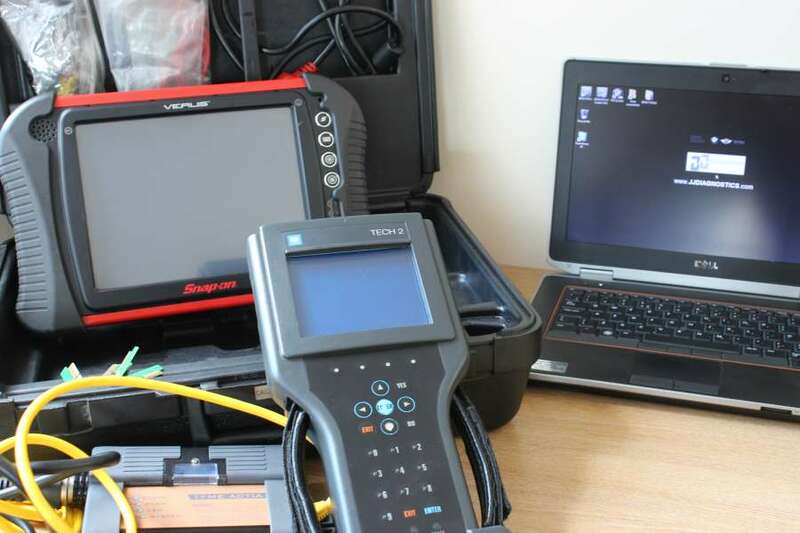 This means we can carry out most of the diagnostic requirements ‘in house’.